We thank all of you for your concerns and for your support over many years. 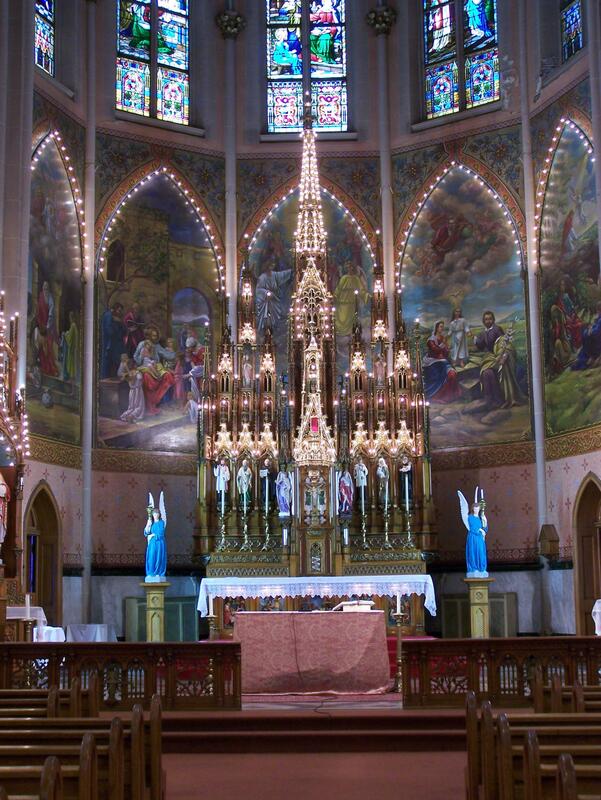 While the Diocese of Buffalo has succeeded in getting our original favorable judgment overturned at the Vatican Apostolic Signatura, we remain committed to attempting to prevent the cultural destruction that would occur if the interior of St. Ann Church were broken up and stripped out. The Diocesan press release announced their specific intention to strip out the interior. As a community, we are facing that sort of choice at St. Ann Church. Are we willing to work together as a community to come up with a more creative and less historically and culturally destructive plan? 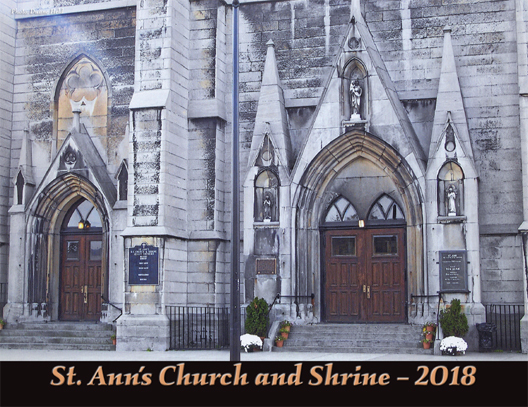 Our beautiful 2018 Saint Ann’s Calendar is now available for purchase! There are two ways you can order the 2018 Saint Ann’s Calendar. Or you can order online with credit/debit card via PayPal button below. 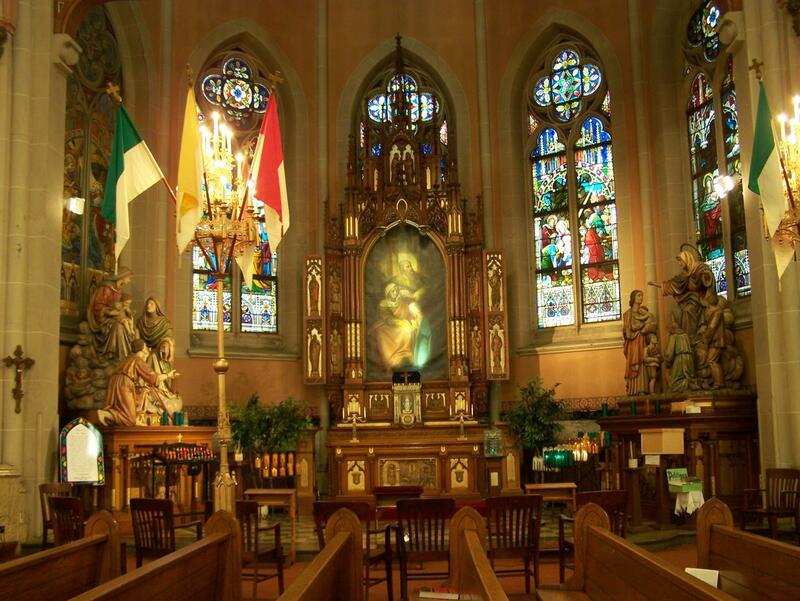 The Friends of Saint Ann’s are in the process of weighing our options after Diocese of Buffalo announces Apostolic Signatura’s ruling on the status of Saint Ann Church and Shrine. The Apostolic Signatura, the Vatican’s highest judicial court, has ruled that Bishop Richard J. Malone, bishop of Buffalo, was within his rights to issue a decree on Aug. 14, 2013, closing St. Ann Church on Broadway in Buffalo. Bishop Malone said the church will now be placed on the market for sale. Potential buyers will need to provide documentation to support their ability to finance the extensive necessary repairs to the church. The Diocese of Buffalo has determined the estimated cost of stabilizing the building is just not a feasible expense within the mission of the Church. The diocese is aware that the Friends of St. Ann have been raising funds over the years in the hopes of re-opening the church. Organizers of that effort are invited to use those funds to assist with the relocation of the elements of the interior shrine. St. Ann Parish merged into SS. Columba-Brigid on Sept. 1, 2007, with the intention of using only the SS. Columba-Brigid site. Use of a single worship site was temporarily delayed during which time a weekly Sunday Mass was celebrated at St. Ann’s. Due to serious structural issues, all activities at St. Ann’s were suspended on April 30, 2012. 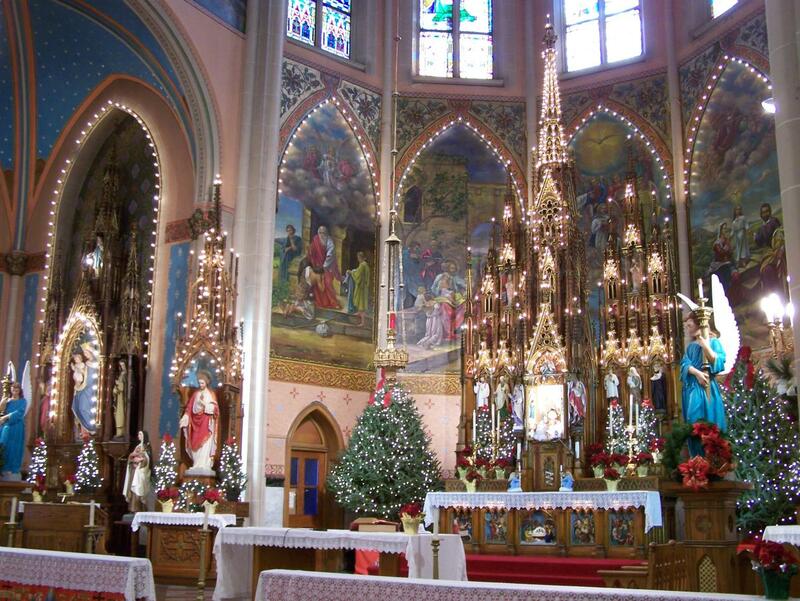 The parish opened in 1858 on Buffalo’s German East Side. The current church was built in 1886 in the Gothic Revival architecture style. It took eight years to construct. Any potential purchaser interested in the church building, should contact the Diocese of Buffalo Buildings & Properties Department at (716) 847-8750. 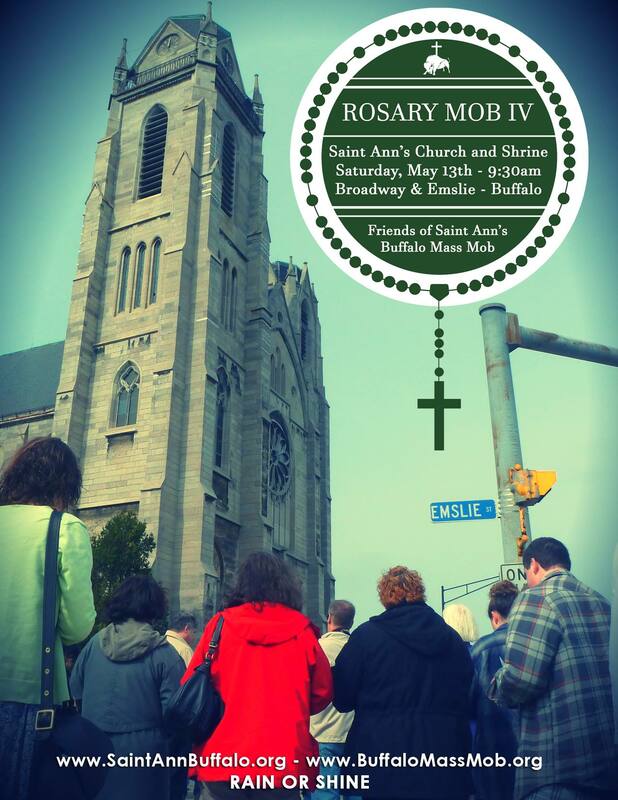 Buffalo’s shuttered St. Ann Church & Shrine will receive special attention as people will gather for Buffalo Mass Mob’s “Rosary Mob IV” at 9:30 a.m. on Saturday, May 13, 2017. The Friends of St. Ann’s, a group of preservationists, and Buffalo Mass Mob are co-organizing the event. The public is asked to converge outside of the shrine, 651 Broadway at Emslie, to pray the rosary en-masse to show solidarity with parishioners who can no longer worship inside the edifice. 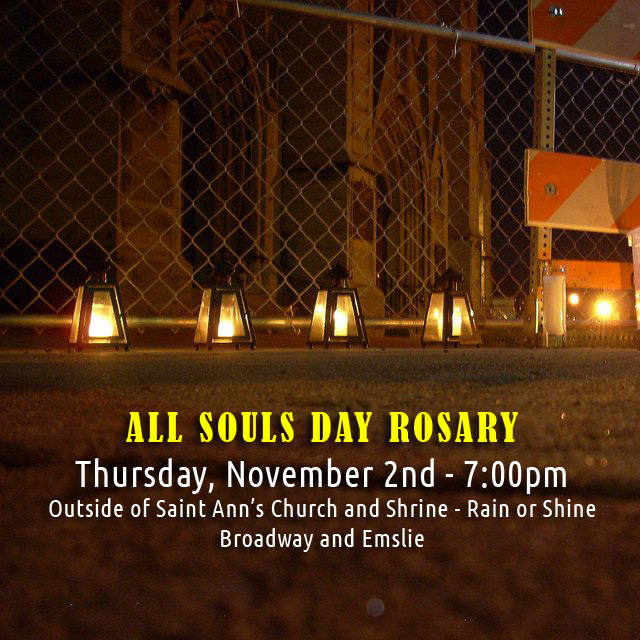 The rosary mob is a re-thinking of the original idea of a “Mass Mob” that was to have taken place at St. Ann’s in August of 2013. It never happened because the church was closed. This is the third “Rosary Mob” at the church. The first was in May of 2014. 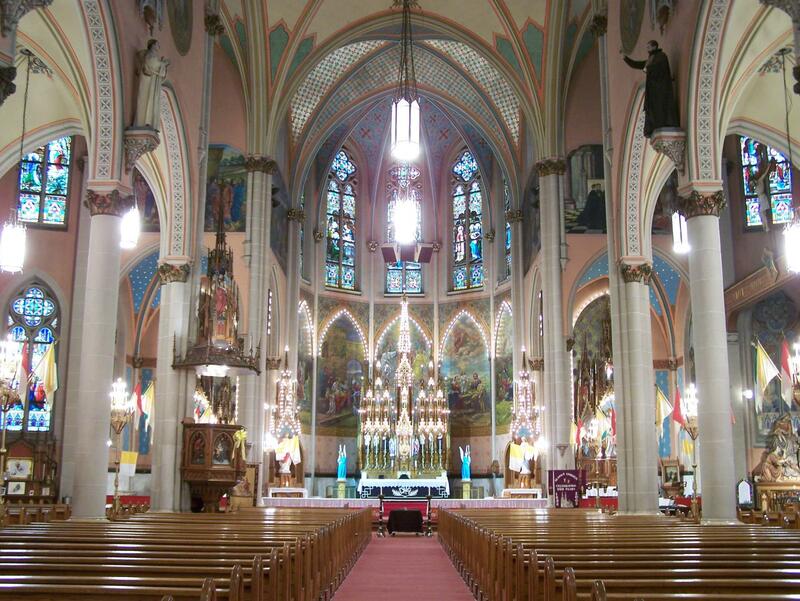 The Catholic Diocese of Buffalo has closed the structure to the public since 2012. 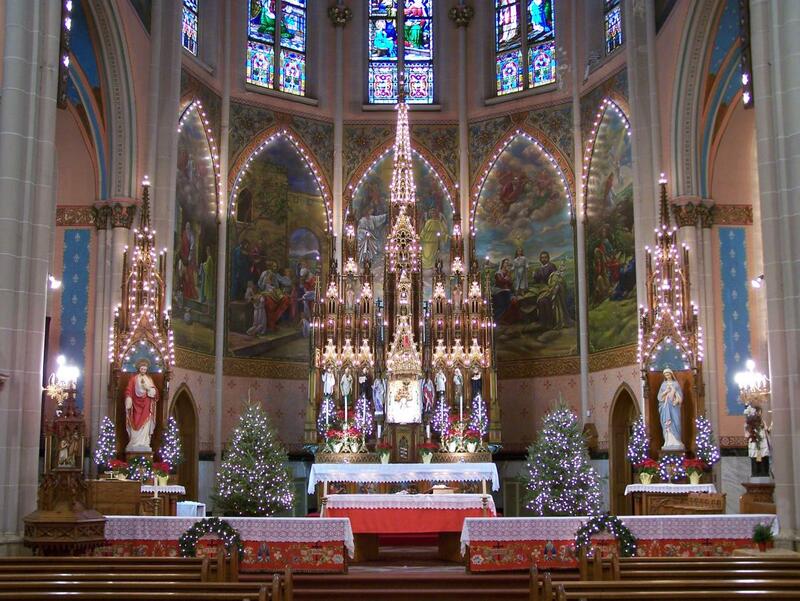 The church was built by the congregation of St. Ann in 1878-1886 and features stained glass windows by Royal Bavarian Art Works in Munich, Germany, and statuary that is considered rare and priceless. 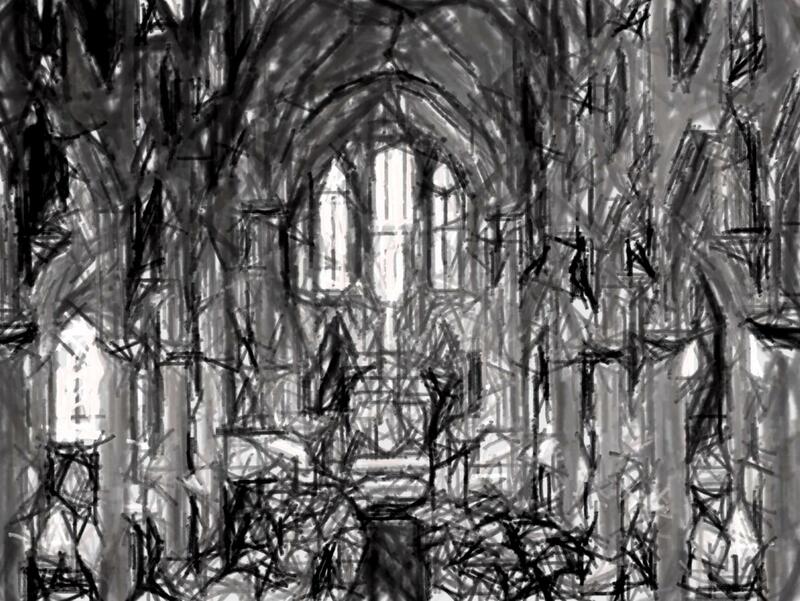 The gothic structure was designed by the famed Francis Himpler of New York City. 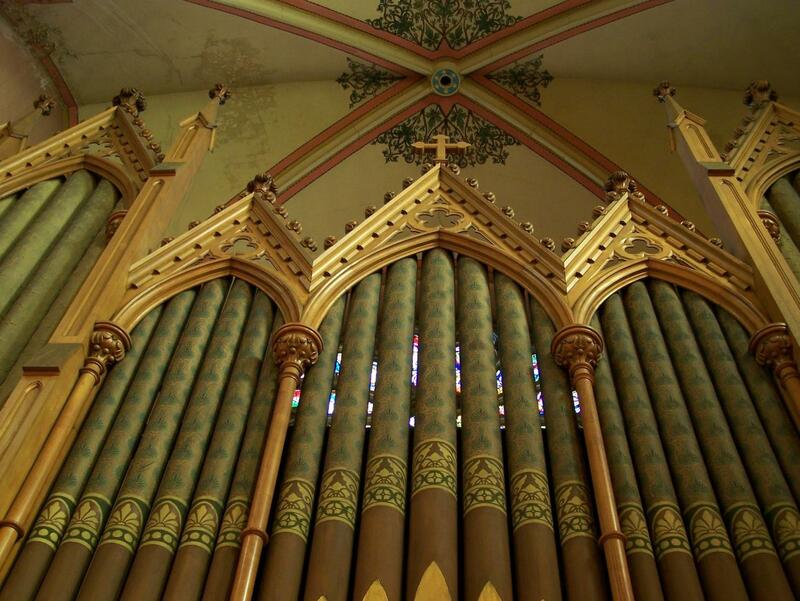 The church’s congregation opened the east side landmark without debt over 125 years ago. 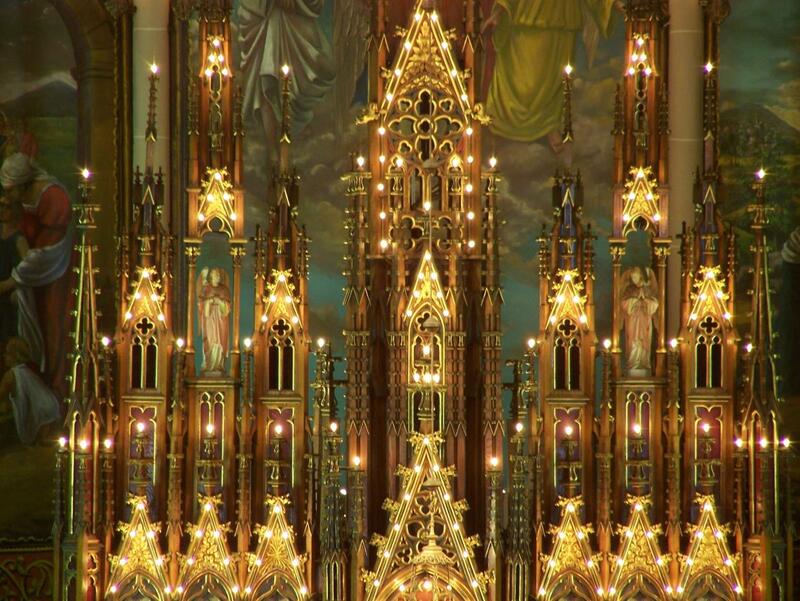 The shrine in Buffalo has, since 1886, conveyed the same graces as the international shrine in Baupre, in the province of Quebec. 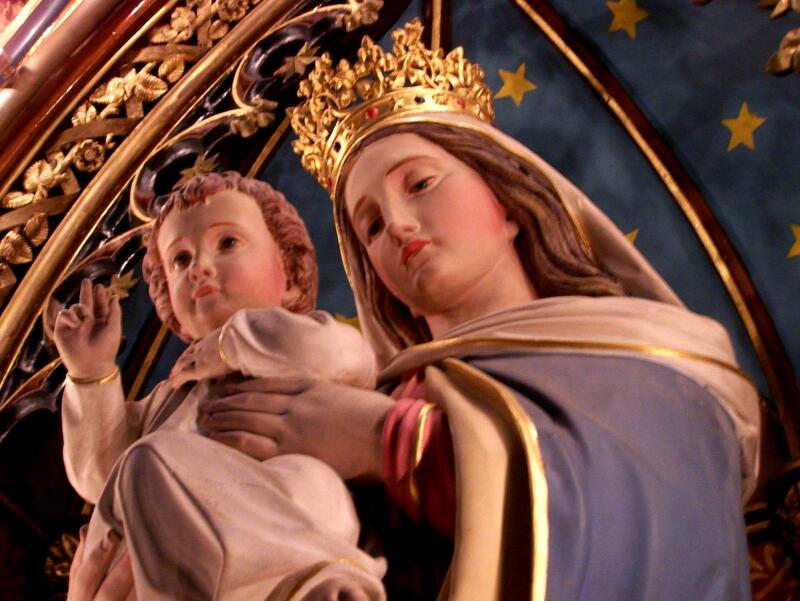 It is a shrine to St. Ann and one of few parishes built solely by the hand of its parishioners, common German immigrants. The main tower rises over 12 stories tall and contains the largest swinging bell in Buffalo. The clock in the high tower is a weight-driven 1895 Howard mechanical pendulum clock that had to be hand-wound once a week until its weight rewind system was electrified in the late 1930s. The clock, designed to strike every fifteen minutes, still functions. Supporters of Saint Ann’s won an appeal with the Vatican in 2014 to keep the church open as a house of worship. 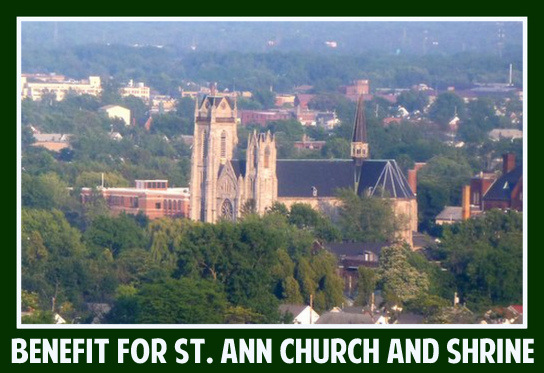 “The Friends of Saint Ann’s want to work with the Buffalo Diocese to come up with a feasible plan to restore the church and open its doors,” stated Ron Bates, a parishoner and member of the Friends of St. Ann’s. The Buffalo Mass Mob movement, started in the Queen City, has been covered by local, national and international press and has inspired groups in over twenty other cities to start their own. 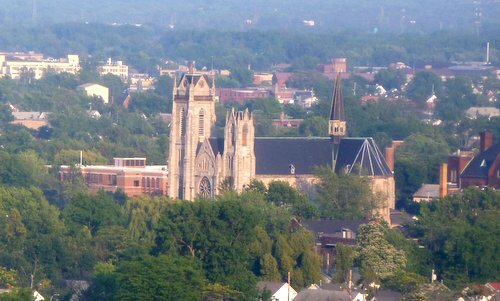 More information on St. Ann’s Church and Shrine, including a video of the church’s history, is available at www.SaintAnnBuffalo.org. Information on the Rosary Mob and Mass Mob is available at www.BuffaloMassMob.org. Donation is $25 per person. You can also purchase tickets online with Debit/Credit Card via PayPal button below! 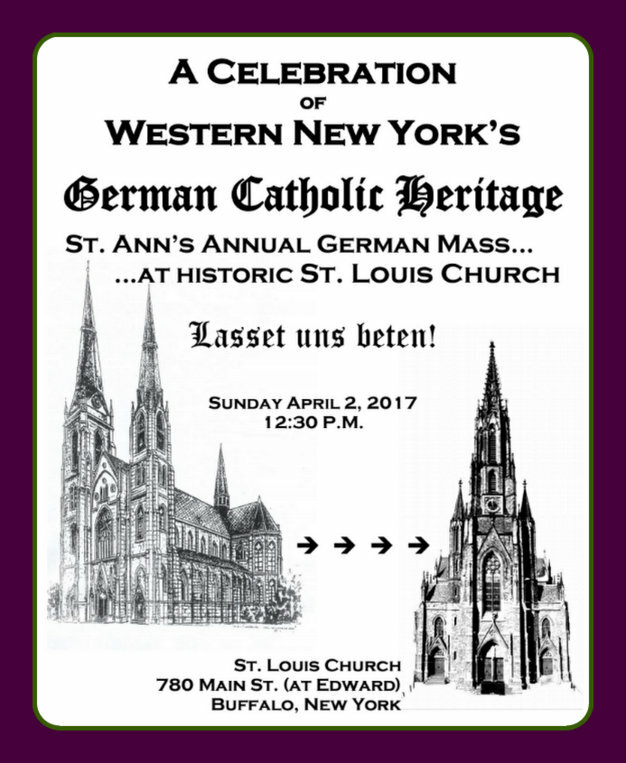 Join us for our annual Saint Ann’s German Mass on Sunday, April 2nd, 2017! A daughter, a sister, a nun for 65 years, an aunt, a teacher, a principal, a friend, a St. Ann Church & Shrine supporter, and an avid Buffalo Bills Fan. Rosie, as she was known will truly be missed. After a brief illness, Sr. Rosemary passed away quietly at Mt. St. Mary’s Hospital, after just seeing her family. Her wake will be held on Friday evening from 3 to 7, at Stella Niagara, 4421 Lower River Rd. Stella Niagara NY 14144. A Mass of Christian Burial will be at Stella on Saturday at 10 A.M. Fr. Greg Jakubowski will preside. Donations may be sent to Sisters of St. Francis at the above address or Friends of St. Ann’s, P.O. Box 782, Buffalo, NY 14240. 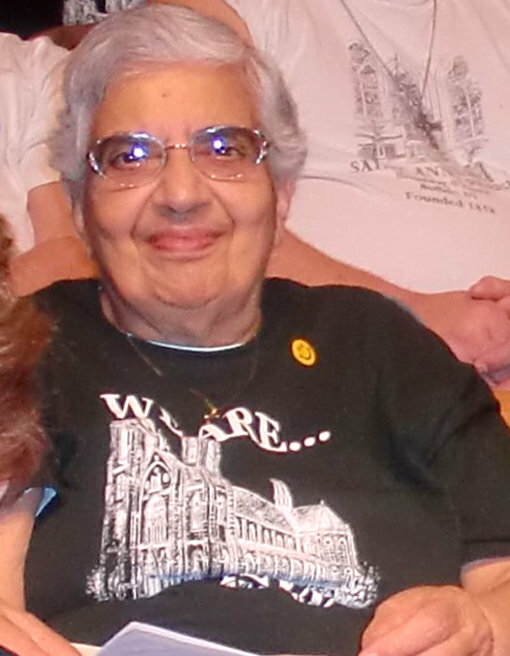 Condolence cards may be sent to Sr. Donna Anthony, 517 Highgate Ave. Buffalo, 14215.